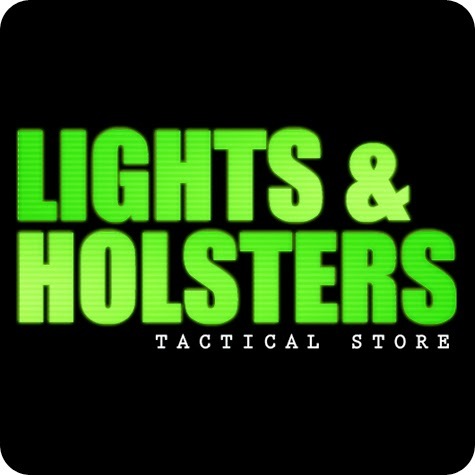 As a retailer, we have been offering Streamlight products since 2004 and have always thought they were top-notch lights with an excellent Lifetime Warranty to back it up. 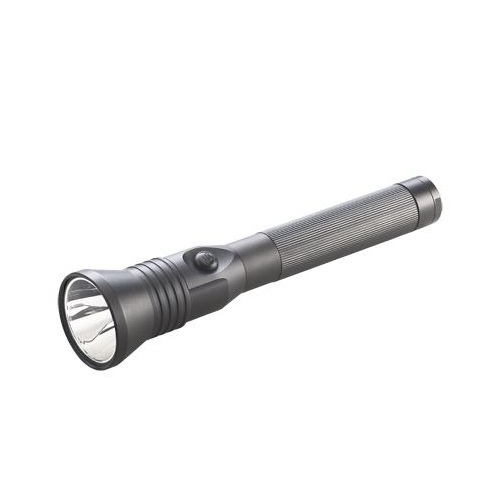 Yes, I know there are alot of "snobbier" flashlights out there, but Streamlight definitely gives those lights a run for the money and at a much more affordable price point. Before talking about the Stinger DS LED HP model, I should mention that since 2005 I have been using the UltraStinger, and I have always loved it and think it is super-bright, but I have always been unhappy with the battery life. Because the UltraStinger does not use an LED, but rather a Xenon bulb, the battery has a considerably shorter life than comparable LED models. Back in June or July of this year, I had a moment to check out some products that I hadn't previously had the time to look at and I wanted to do some testing on the Stinger DS LED HP and see how it stacked up against my UltraStinger, which I formerly considered the mother of all flashlights, at least of those that I had ever owned. HP: High-Power, some refer to it as "High Performance"
As can be seen in the comparison above, with the exception of the "lumens" rating, the DS LED HP has the UltraStinger beat hands down. And despite the 95 lumen difference, the DS LED HP feels just as bright and produces a much "whiter" light. Hands-On Experience: Two days before Halloween 2011, we had a premature snowstorm which knocked out power to approximately 7 million residents. Fortunately, I had my new Stinger DS LED HP all charged up and ready to go for such an occasion. Because I was able to stand the light on its tail-cap, I was able to use it as a lamp for the living room which was otherwise pitch black. I kept it on high for one hour straight and then I remembered it had different intensity settings so I switched it to low to get the most out of the battery life. On the low setting, which is still fairly bright, I had it running for about 6 hours straight, in addition to the 1 hour I had it set to high. The light never faltered until almost 7 hours of constant runtime had passed. I have NEVER been able to accomplish anything close to that with my UltraStinger, or any flashlight for that matter. Additionally, the UltraStinger gets very hot when running for long periods of time whereas the Stinger DS LED HP only had a minimal amount of warmth at anytime during the extended use. Drop-Test: Perhaps mislabeled, I didn't really "drop-test" either light, at least not on purpose. Over time, I have dropped my UltraStinger about 10-15 times and most of those times I have had to replaced the bulb. Because the all-metal construction of the Ultra Stinger is not as shock-proof as it should be, a drop on a hard surface like a sidewalk or shop floor usually popped the bulb. This has not happened even once with the DS LED HP model. I have dropped it at least 3-4 times since I have owned it and each time it was as if it was never dropped. Something should be said about the fact that since it doesn't really have a bulb but rather an LED, which means that one more concern can be put to rest. Side-by-Side Light Beam Test: In pitch-black conditions, in order to minimize the influence of other light sources, I did an impromptu comparison with reflective street signs at a distance. At roughly 150 yards, both lights were comparable in illuminating distant objects. I focused both flashlights down to the tightest possible beam and yes, both were impressive. I then turned my flashlights to the non-reflective brick school building a little ways beyond the street sign and the Stinger DS LED HP was clearly the more visible winner. Conclusion: From my informal, yet real-world, practical testing by way of actual use, I can easily recommend the Stinger DS LED HP over the UltraStinger any day of the week. Many of the conditions that my lights were put through are the same conditions that law enforcement and other professionals put their lights through on a regular basis such extended run times and multiple drops. The Stinger DS LED HP will not let you down and it will not quit when the going gets tough!